1.) Opana – Now that manufacturers have found ways to make oxycodone more difficult to abuse, an increasing number of individuals are finding themselves addicted to oxymorphone, also known as Opana. Be aware that even a small dose of this painkiller can produce powerful — and ultimately, undesirable — effects. 2.) Oxycodone – This pain reliever has made its share of headlines over the years due to high-profile celebrities who have found themselves addicted to it. The combination of acetaminophen and Percocet provides not only pain relief but also a powerful high and a serious habit. 3.) Opium – Opium, the potent painkiller and highly addictive painkiller famous for its addictiveness, is still available by prescription in the form of Laudanum. In fact, Laudanum can be a necessary anti-withdrawal treatment for newborns who have become addicted through their mother’s habit, and morphine can prove invaluable in dealing with battlefield injuries. Even so, beware. 4.) Amphetamines – Amphetamines used to be widely prescribed for dieters until their addictive properties caused them to lose favor for that purpose. today, however, they are still an active ingredient in the popular ADHD drug Adderall. High school and college kids are abusing this product for its speedy high. 5.) Narcotics – Prescription cough syrup often contains a narcotic such as hydrocodone, and so do prescription painkillers such as Tylenol-4. The opiate content in these products can lead to serious addiction and might even compel you to seek illegal means of obtaining them, if only to avoid withdrawal. 6.) Methamphetamine – “Meth” has become so well known as a street drug that you may not realize that it is occasional prescribed by doctors in its medical form, Desoxyn. 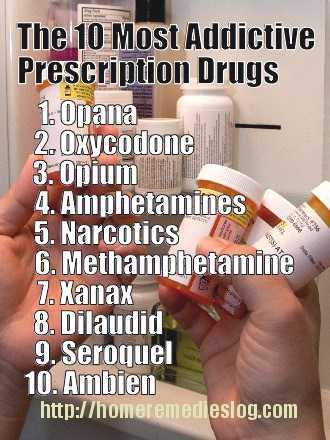 The fact that you have a prescription for it, however, does not make it any less addictive. 7.) 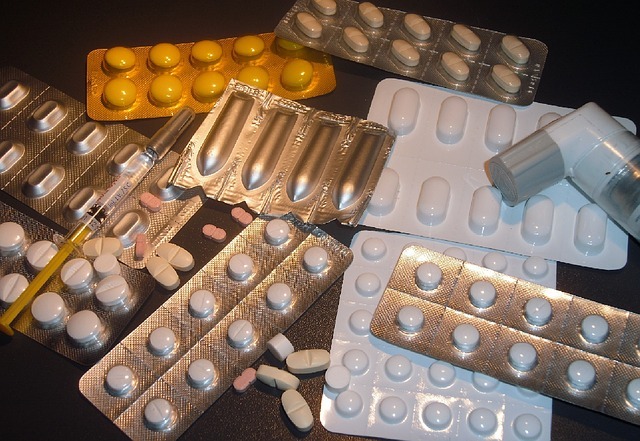 Xanax – Xanax is a benzodiazepine. While it does a good job of relieving extreme anxiety and panic attacks, it can also induce a deep-relaxation “high” among recreational users who crush and snort the pills. 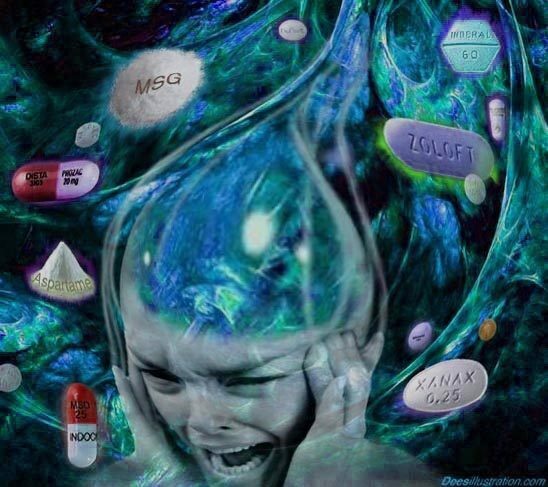 Unfortunately, addiction to this class of drugs can actually cause anxiety attacks once withdrawal sets in. 8.) Dilaudid – Traditionally prescribed for terminal cancer and other agonizingly painful conditions, Dilaudid, or hydromorphone, can be just as powerful a high as heroin, and also just as addictive — especially when dissolved from pill form to liquid form and injected at full strength. 9.) Seroquel – Seroquel is an antipsychotic drug that relieves symptoms of schizophrenia and other mental disorders. Because it promotes deep relaxation, prisoners sometimes use it as a kind of poor man’s heroin. Talk to your psychiatrist about the potential for addiction to this drug and how to take it safely. 10.) Ambien – If Ambien (zolpidem) only helped you get a good night’s sleep, that would be a wonderful thing. Unfortunately, it also has addictive properties due to its effectiveness as a GABA inhibitor. Teenagers seek out its alcohol-like wooziness and relaxation by breaking in to their parents’ medicine cabinets — and those parents can accidentally become dependent on it as well. Knowing is half the battle, so hopefully you can avoid these substances or request alternatives from your doctor. 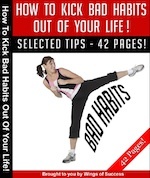 If you do feel you are addicted, now’s the time to get the help you need and shake off that unwanted adversary for life. About the author: Desmond White is a writer that specializes in addiction treatment and his true passion is helping people find treatment for addiction. He is currently promoting Best Drug Rehabilitation, click here to learn more about their facility and holistic treatment programs. Enroll in the once a week home remedies news letter and receive home therapy plus organic health ebooks similar to this one sent to your email weekly free of charge!. 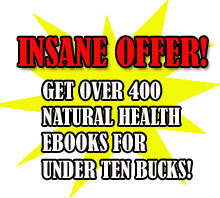 Assuming that you buy my own personal work, “The Big Book of Home Remedies” you may in addition get straightaway accessibility to the reserved members area and this permits you to get a hold of any one of our fourhundred plus high quality health and well-being books free of charge. Desmond White is a writer that specializes in addiction treatment and his true passion is helping people find treatment for addiction. He is currently promoting Delray Recovery Center.